The Cleveland Movie Blog: Call for entries: The Ohio Independent Film Festival's "College Throw Down"
Call for entries: The Ohio Independent Film Festival's "College Throw Down"
Independent Pictures, the folks behind the annual Ohio Independent Film Festival (OIFF), announces its second "College Film Throw Down" competition, produced in connection with the 2012 OIFF, scheduled for May 17-20, 2012 at Arts Collinwood in Cleveland's Historic Waterloo Arts District. The competition invites any Ohio college student to submit his or her independently wrought short subject. The style and execution are open to anything - celluloid film, music video, animation, comedy, drama etc. Students can submit as many finished films as they would like, for a discounted $25 each. Finalists from each college and university will compete for top best-in-show prize, to be voted on by the audiences during the OIFF. The winning filmmaker will receive $200 and bragging rights for the college or university the filmmaker attends. The 2012 festival marks the 25th Ohio Independent Film Festival in 18 years (the math makes because the OIFF, originally called the Off-Hollywood Flick Fest, took place twice a year for a while there in the 1990s). 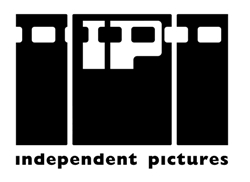 The mission of Independent Pictures supports emerging and independent filmmakers. Funded in part by Community Shares of Greater Cleveland and Ohio Arts Council, Independent Pictures programs entirely through filmmaker submissions, and sponsors other special events and contests, such as an annual feature-screenplay contest followed by a "Script Mill" live, staged reading. Tickets for all OIFF screenings will be $10 per screening or $5.00 for students (with student ID). Tickets for the screenings can be purchased at the door or in advance at www.ticketweb.com. To receive a College Film Throw Down entry form or information about submitting an entry, e-mail ohiofilms@yahoo.com. Deadline for all submissions is April 1, 2012. For information about sponsoring an event, Independent Pictures, the 2012 OIFF, the College Film Throw Down or the Independent Screenplay Awards, contact Bernadette Gillota at 216-926-6166.